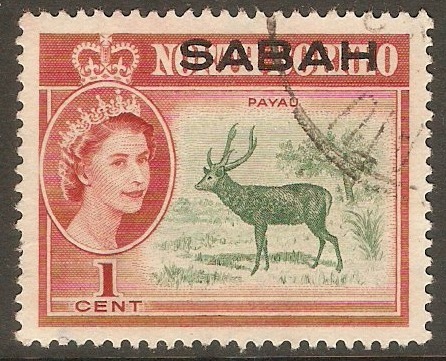 Sabah 1964 1c Emerald and brown-red. SG408. Mounted mint 1964 1c Emerald and brown-red. SG408. Fine used 1964 1c Emerald and brown-red. SG408. 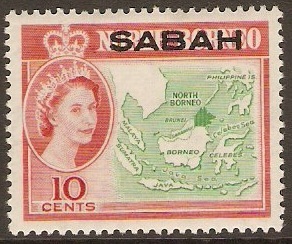 Sabah 1964 4c Bronze-green and orange. SG409. Unmounted mint 1964 4c Bronze-green and orange. SG409. 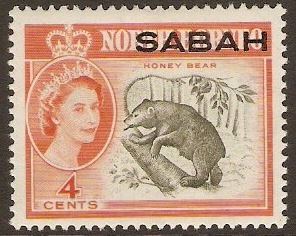 Sabah 1964 5c Sepia and violet. SG410. 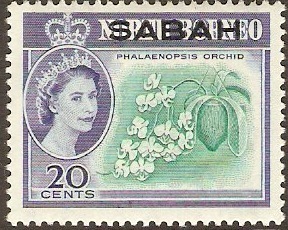 Mounted mint 1964 5c Sepia and violet. SG410. 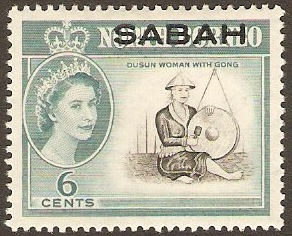 Sabah 1964 6c Black and blue-green. SG411. 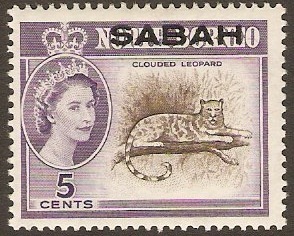 Mounted mint 1964 6c Black and blue-green. SG411. 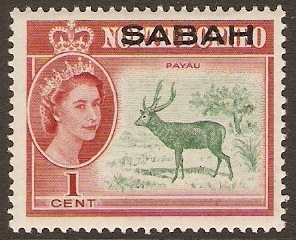 Sabah 1964 10c Green and red. SG412. Mounted mint 1964 10c Green and red. SG412. 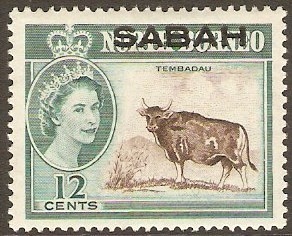 Sabah 1964 12c Brown and grey-green. SG413. Mounted mint 1964 12c Brown and grey-green. SG413. Fine used 1964 12c Brown and grey-green. SG413. 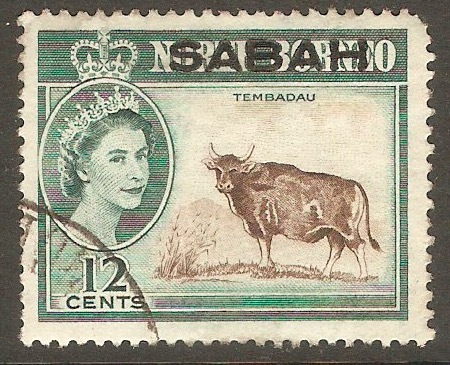 Sabah 1964 20c Blue-green and ultramarine. SG414. Lightly mounted mint 1964 20c Blue-green and ultramarine. SG414. 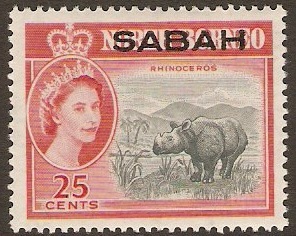 Sabah 1964 25c Grey-black and scarlet. SG415. 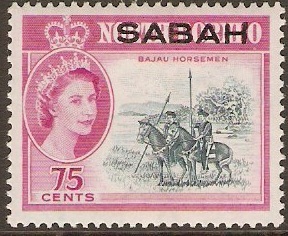 Mounted mint 1964 25c Grey-black and scarlet. SG415.